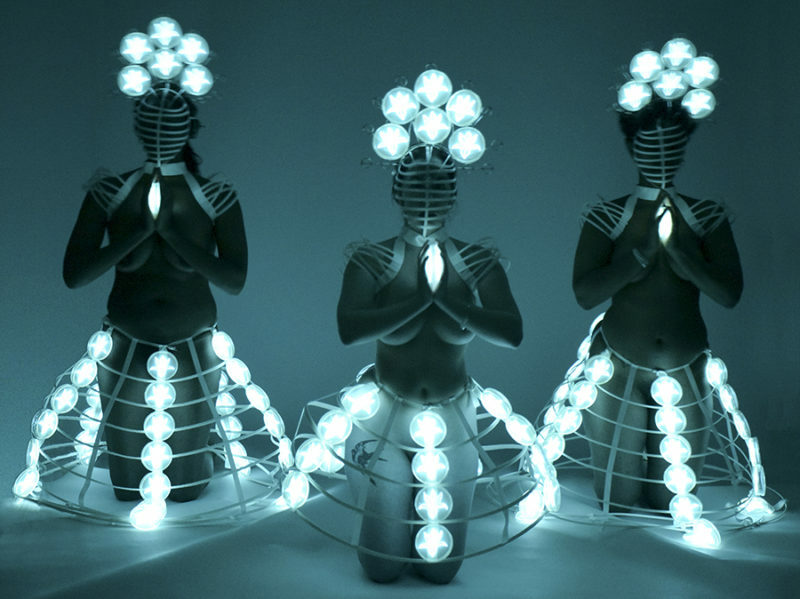 Hunter Cole features photographs of human figures (portraits; nudes; installations) illuminated by a glowing blue light created by bioluminescent bacteria depicting her keen interest in surreal imagery and symbolism. This exhibition will feature a survey of Cole’s bioluminescent art during the period 2005 to 2017. In addition to the photos, visitors can also see a time-lapse video piece featuring the bacteria growing and dying, accompanied by a musical score based on the protein sequences in the bacteria — all of which is meant to invoke reflections on the issue of mortality. On the final day of the exhibit (January 27, 4-6pm), attendees will have the opportunity to see the bacteria glowing in person, when an installation of live bioluminescent bacterial drawings will be on view. Hunter Cole is an artist and scientist that produces work that is inspired by science, but lives as art. Cole, who holds a PhD in genetics, reinterprets science through art. She is a lecturer in the Biology Department at Loyola University Chicago where she teaches Biology through Art, a course that provides opportunities for students to create art while working in a biology laboratory.